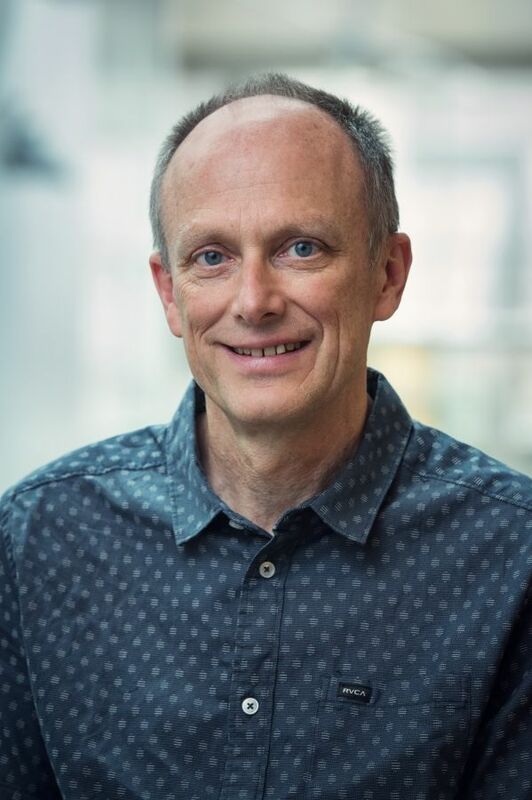 Dr. B. Brett Finlay is a Professor in the Michael Smith Laboratories, and the Departments of Biochemistry and Molecular Biology, and Microbiology and Immunology at the University of British Columbia. He obtained a B.Sc. (Honors) in Biochemistry at the University of Alberta, where he also did his Ph.D. (1986) in Biochemistry under Dr. William Paranchych, studying F-like plasmid conjugation. His post-doctoral studies were performed with Dr. Stanley Falkow at the Department of Medical Microbiology and Immunology at Stanford University School of Medicine, where he studied Salmonella invasion into host cells. In 1989, he joined UBC as an Assistant Professor in the Biotechnology Laboratory. Dr. Finlay’s research interests are focussed on host-microbe interactions, at the molecular level. By combining cell biology with microbiology, he has been at the forefront of the field called Cellular Microbiology, making several fundamental discoveries in this area, and publishing over 500 papers (h index=127). His laboratory studies several pathogenic bacteria, including Salmonella and pathogenic E. coli, and more recently the microbiota. He is well recognized internationally for his work, and has won several prestigious awards including the E.W.R. Steacie Prize, the CSM Fisher Scientific Award, CSM Roche Award, a MRC Scientist, five Howard Hughes International Research Scholar Awards, a CIHR Distinguished Investigator, BC Biotech Innovation Award, the Michael Smith Health Research Prize, the IDSA Squibb award, the Jacob Biely Prize, the prestigious Canadian Killam Health Sciences Prize, the Flavelle Medal of the Royal Society, the Queen Elizabeth II Diamond Jubilee Medal, and the Prix Galien. He is a Fellow of the Royal Society of Canada and the Canadian Academy of Health Sciences, is a Member of the German National Academy of Sciences, American Academy of Microbiology, Chair d’État, Collège de France and is the UBC Peter Wall Distinguished Professor. He is an Officer of the Order of Canada and Order of British Columbia, and was inducted into the Canadian Medical Hall of Fame. He is a cofounder of Inimex Pharmaceuticals, Inc. and Microbiome Insights, scientific co-founder of Vedanta Pharmaceuticals and CommenSe, Director of the SARS Accelerated Vaccine Initiative, and Founding Director and Senior Fellow of CIFAR’s Microbes and Humans. He is also the co-author of the book Let Them Eat Dirt. Arrieta MC, Arévalo A, Stiemsma L, et al. Associations between infant fungal and bacterial dysbiosis and childhood atopic wheeze in a nonindustrialized setting. J Allergy Clin Immunol. 2018.